WASHINGTON — A NASA authorization bill passed by the Senate Feb. 17 would require NASA to reexamine the feasibility of using the Orion spacecraft to transport crews to and from the International Space Station. The provision is one of the few major changes in the NASA Transition Authorization Act of 2017, which the Senate approved by unanimous consent, compared to a bill that the Senate passed in the final days of the previous Congress in December. The language in the new bill would require NASA to confirm that Orion has the ability to carry out missions to the ISS. The NASA report would determine when Orion, launched on a vehicle other than the SLS, would be able to carry crew and cargo to the ISS. It would also assess the cost and schedule impacts to the program to perform that role, and how it would affect plans for deep space missions using Orion. 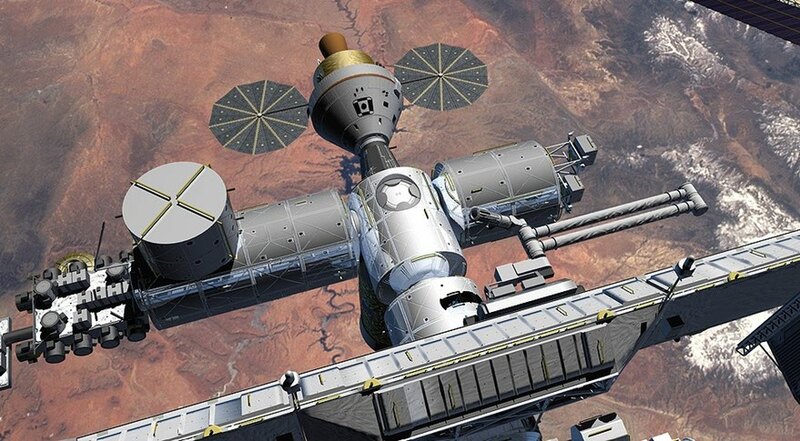 While the 2010 bill directed NASA to give Orion the capability to service the ISS, NASA has focused on the spacecraft’s beyond Earth orbit missions, turning over access to the station to commercial crew providers. There’s been little public discussion in recent years about using Orion to perform ISS missions. Flying Orion to ISS would involve a number of challenges, including adapting it to an unspecified alternative launch vehicle. The first uncrewed Orion test flight, Exploration Flight Test 1 in 2014, launched on a Delta 4 Heavy, but there are no plans to human-rate that vehicle. Orion is currently not designed to carry a crew until its second launch on the SLS, no earlier than 2021, although NASA announced last week it is studying putting a crew on the first SLS launch, scheduled for late 2018. That mission would likely to slip to 2019 or 2020 if NASA does decide to fly that mission with astronauts on board. The bill retains language from the version the Senate passed last year supporting NASA’s commercial crew program. The new bill, though, includes a new subsection laying out objectives for the commercial crew program, which it defines as carrying astronauts “safely, reliably, and affordably,” serving as a crew rescue vehicle while docked to the station, and being available as soon as practicable. The addition of the Orion study is one of the few major changes to the 2016 bill. The new bill includes one new section regarding Space Act Agreements not found in last year’s bill, directing NASA to publicly disclose its existing agreements and provide annual reports to Congress on those agreements and the benefits they provide to the agency. The bill also adds to a section in the 2016 bill regarding NASA facilities and infrastructure, requiring NASA to develop policy regarding the leasing, transfer or demolition of excess infrastructure at NASA centers. Most other changes to the bill from the 2016 version are minor wording edits or updates to reflect the new name of the bill. In a Feb. 17 statement about the bill’s passage, the bill’s sponsors did not mention Orion study language or other changes to the bill. “This bipartisan legislative achievement provides NASA and the future of the U.S. space program with the stability and certainty it needs moving forward with a new administration,” said Sen. Ted Cruz (R-Texas), chairman of the Senate space subcommittee and lead sponsor of the bill. “This bill directs NASA to send humans to Mars, expand commercial space activity and ensures that work will continue on the next generation of rockets, engines and capsules that are currently being constructed in Florida and across the country,” said Sen. Bill Nelson (D-Fla.), ranking member of the Senate Commerce Committee and a co-sponsor of the bill. The legislation now goes to the House, where its chances of passage are high. In an interview Jan. 30, Rep. Lamar Smith (R-Texas), chairman of the House Science Committee, said he had been in discussions with Cruz to “pre-conference” the bill by working out any differences before it was introduced in the Senate. “We’ve ironed out the differences and made some tweaks I think were responsive to various stakeholders’ requests,” he said in the interview. “As a result, I think it’s going to be smooth sailing.” The earliest opportunity for the House to take up the bill is Feb. 27, when it returns from its current recess.